I see lots of these types of sauces in local supermarkets, usually in the Jamaican / ethnic part of the store. It contains pepper, water, vinegar and salt. The salt stands out above all else and I feel its too overpowering. 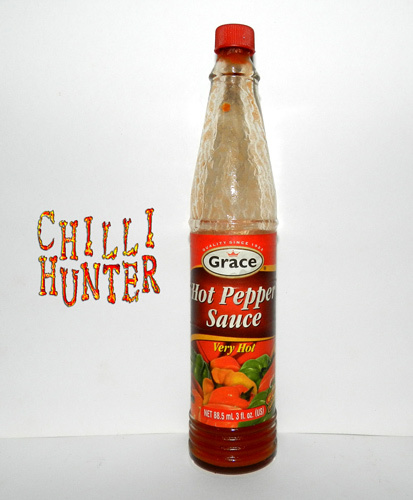 Its best used to add flavour rather than a stand alone sauce. I’ve just noticed the date on this is best before Dec 09, the fact that its been hidden at the back of the fridge 3 years past its best before date says alot about it. Time to get rid of this one I think!